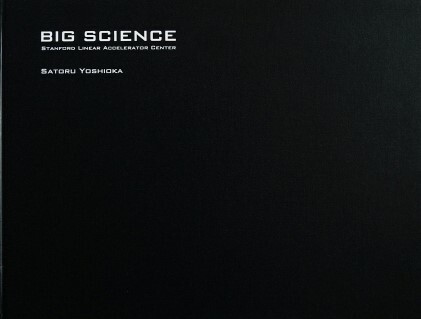 Since 2005, Satoru Yoshioka has been visiting to high energy physics laboratories; in 2006 he started photographing from SLAC / Stanford Linear Accelerator Center (now SLAC National Accelerator Laboratory) in California. Over several years he photographed in the United States, Japan, Germany, and Switzerland. [Visual Study of The World of High Energy Physics]. Sometimes, people speculate of the inside of a high fenced laboratory. Then, people decide what kind of experiment will be accomplished. While taking a trip to the world of high-energy physics, I photographed inside of these research institutes by the daytime light of the sun and nighttime artificial light: the general scenery and buildings, streets, daily working spaces, the latest experimental devices, and past experimental devices. A laboratory continues to change day and night. Even if there are seemingly no changes, the research institute visited today is a place just different from yesterday. The Stanford Linear Accelerator Center was established in 1962. This place was a central research facility in the world of high-energy physics for over 40 years. Why is the universe made of matter and not antimatter? These questions have been studied, and precisely answered, by smashing particles together. In my work, I would like you to see the Stanford Linear Accelerator Center as it was. Since 2008, this place was renamed as the SLAC National Accelerator Laboratory and moved from its historic role in high-energy particle physics to photon science, astrophysics, accelerator, and particle physics. 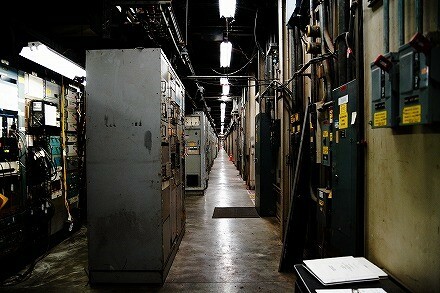 This place was also reborn as an X-ray Free Electron Laser (LCLS) research facility. SLAC has a 3.2 km linear accelerator, and this equipment generates charged particles (electrons and positrons) accelerated to nearly the speed of light and makes them collide head-on to create a small big bang. 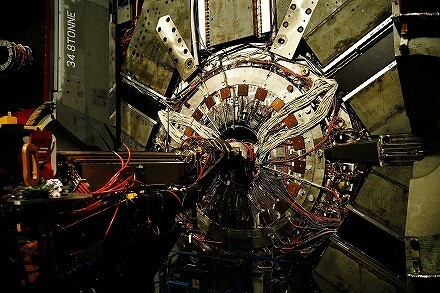 BaBar detector (height, a horizontal width of about 7.6 meters, weighs 1200 tons) records B mesons and anti-B mesons decay (BaBar experiment/studies of CP-violation in B-meson decays). Immediately after the Big Bang, about 13.7 billion years ago, matter and antimatter existed in equal numbers. We know that matter and antimatter cancels out each other; but if this is true, then things will not exist in this world. However, we exist and live, and we are matter, not antimatter. Why did the antimatter disappear, but some matter remained? In 2008, the BaBar and *Belle experiment proved the correctness of the Kobayashi-Maskawa theory. These two professors were awarded the Nobel Prize in Physics.